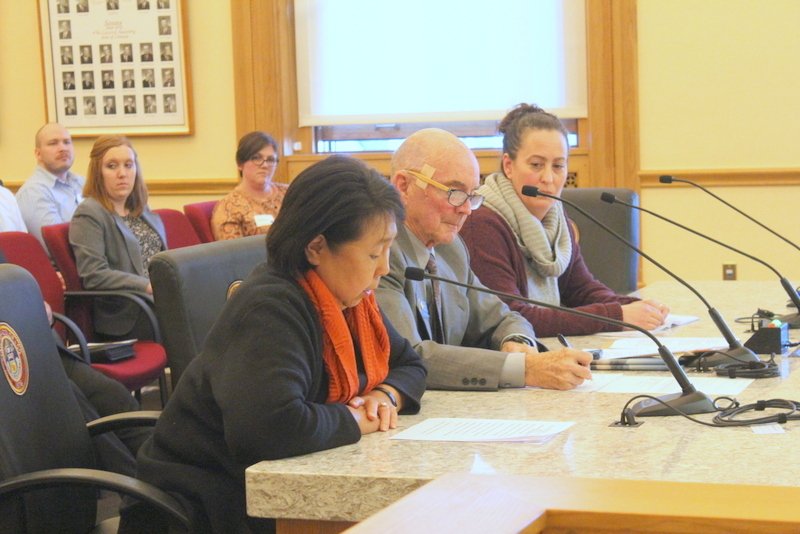 In what has become standard practice in the Senate State, Veterans, and Military Affairs Committee at the State House, an overwhelming majority in support of a bill could not persuade a Republican majority. 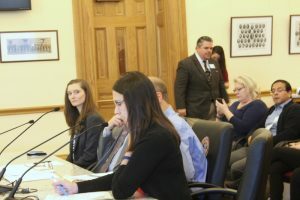 Seven people testified in favor of SB18-075 Campaign Contribution Limits School District Director which sought to establish school board campaign contribution limits under the “Fair Campaign Practices Act.” The bill was sponsored by Senator Michael Merrifield, and Representative Jeni James Arndt. The 2017 Denver School Board race saw an unprecedented amount of contributions in terms of amount, and in terms of donor state of residency. The lone testimony against the bill came from Ben Schler, Legal and Policy Manager in the elections division of the office of the Secretary of State. The office is headed by Secretary of State Wayne Williams. Schler referred back to earlier court decisions and the “willingness” of the courts to side with the Citizens United unlimited contributions position, “[This] leads Secretary Williams [to] disfavor extending [those court decisions] whether it’s for school district candidates, or county candidates. It’s not necessarily about leveling the playing field which the court has spoken to on several occasions, it’s more about the fact that the courts seem to have fairly clearly told us that in this realm, we’re subject to litigation that occurs. And I think it’s also Secretary Williams’ position that contribution limits can lead to irresponsible and insignificant spending in other ways.” Schler took the position that “leveling the playing field,” leveling opportunities or equal opportunity access to financial resources did not qualify as a legitimate state interest. Four testimonies came from former school board candidates who despite their qualifications, lost their races. All referred to their opponents’ amount of money and the source of some of those donations. Emily Sirota who ran for the Denver School Board in 2011 said that one contributor gave a $25,000 contribution each to three candidates, yet her donations originated from those contributing small amounts. Amanda Gonzalea (r) of Common Cause testifies in support of SB-075. Barbara O’Brien received 58.1% of funding in donations greater than $500 averaging $2,353.73 from 29 individuals. Jennifer Bacon received 41% of funding in donations greater than $500 averaging $1,735.34 from 12 individuals for a total of 27,759.25 from out of state donors (37.37% of the campaign’s total funding). Mike Johnson reported 58% of campaign funding in donations greater than $500 averaging $2,288.00 from 27 individuals. Angela Cobian campaign received 56% of funding in donations greater than $500 averaging $2,880 from 25 individuals. A review of contributions to Cobian from the Secretary of State website CO TRACER by The Nation Report found high-dollar contributions from Alice, Jim, and Steuart Walton, all heirs to the Walmart fortune who all reside in Arkansas. Cobian’s additional out-of-state donations totaled $33,000 which comprised 25.81% of the campaign’s funding. Cobian won her race in District 2. This entry was posted in Education, Elections, Politics. Bookmark the permalink.